Kmart does not have an official policy available online. These Q’s answered via Phone. 1. Do you take ALL manufacturer coupons? Do you exclude any? Ex: above $5 off, BOGO offers, coupons for free product? We accept any manufacturer’s coupons that have a scannable bar code and that are not copied from an original coupon. Upon using the coupon, it must be surrendered to the cashier. We accept $5 off coupons, BOGO offer coupons, and free product coupons, but they are not doubled during our double coupon events. 2. 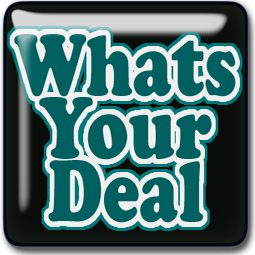 Do you accept Internet Printable Coupons? May I print them in black and white? What if any restrictions do you place on IPs. We do accept internet printable coupons as long as they have a scannable bar code. Kmart will not accept coupons for more than about 75% of a product’s value or free printable coupons without a purchase requirement. Coupons will be rejected if they appear distorted or blurry, altered in any way, or are obvious duplicates. 3. May I use a Kmart store coupon and a manufacturer coupon on the same product? Does this vary based on the store coupon? More than one coupon may not be used on a single product, so we could not accept a Kmart store coupon along with a manufacturer’s coupon on the same item. Coupons will be auto adjusted down to match the item’s price. No overage will be given either in cash back or applied to the basket purchase. 5. Is there a limit of # of coupons per transaction? During our double coupon events, there may be a limit, and that limit varies by event. However, during regular business days, any limit the number of coupons a customer may use during that day may be imposed by the store manager if necessary. 6. Are individual stores allowed to impose their own rules or vary from these policies? Individual stores should not be imposing their own rules nor vary from our policy unless they have previous permission from our corporate office. We do give out rain checks on certain items. However, if an item is part of a sale that only lasts a few hours, or if the advertisement specifies that quantities are limited, we do not offer rain checks. 8. Do your stores allow special ordering, in order to buy in larger quantities without clearing shelves? Our stores are unable to place special orders for customers. When we are having a special on a certain product, a larger quantity of that product is usually sent to our stores. 9. Is there a contact phone number that can be called if a customer is having policy trouble? If you are having any issues with your local store, including coupon problems, you may email us at help@customerservice.kmart.com or contact our Retail Customer Care department at 1-800-549-4505. 10. When policy states only 10 coupons may be doubled per customer per day: May I still use more than 10 coupons? Example: May I use 15 coupons, but only double 10 of them? When policy states only 10 coupons may be doubled per customer per day, you may use more than 10 coupons, but only 10 will be doubled. For instance, you may use 15 coupons, but only 10 will be doubled. 11. If I shop with my child may I have them do a transaction with another 10 coupons? Who constitutes a customer? Someone over 18 or anybody? Anyone making a purchase in our store should be considered a “customer”. However, during our double coupon events, we ask our cashiers and managers to use their own discretion when a customer is wanting to have their young children do transactions with coupons in addition to the adult customer’s transaction. Amount of credit from doubling a coupon cannot exceed the current retail price of a single item.No cash or in-store purchase credit will be awarded for any amount exceeding the retail price of the item.Limit 1 coupon for each item purchased and only 1 coupon will be doubled per item.You may only purchase 4 of the same item using double coupons.Buy One, Get One offers, Kmart Savings coupons and Kmart Store coupons are excluded from this promotion.Coupons do not apply to sales tax.Limits and restrictions vary by event.